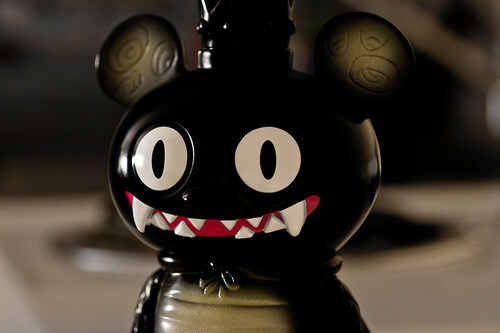 Uglyworld #1442 - Night Stomperings, a photo by www.bazpics.com on Flickr. It's not easy getting to sleep when there's some serious night stomping going on! Big shout out to Benny at Tenacious Toys for sending Bossy my way!